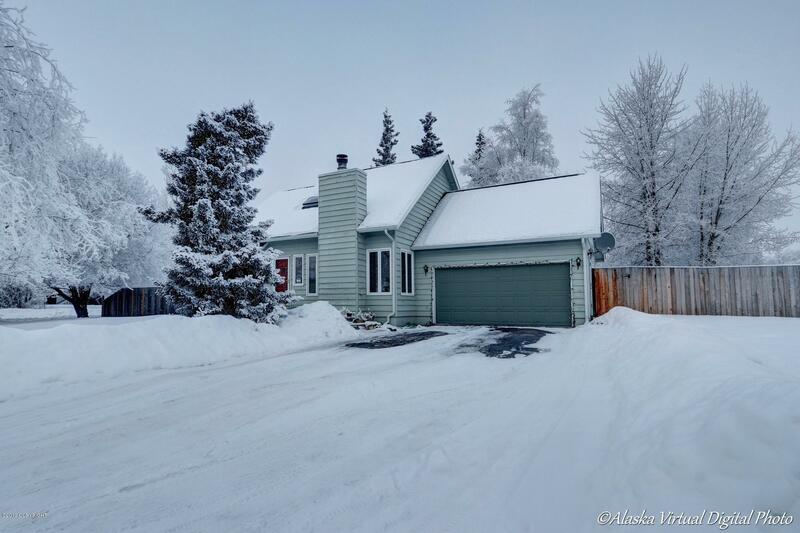 Outstanding Anchorage Jewel Lake location with very easy access! Large level landscaped lot with fenced yard, perennials and greenhouse. Well maintained throughout, upstairs with vaulted ceilings and skylight. Freshly painted. Big sunny kitchen with bay window, stainless appliances, dining area and large living room with stone fireplace. Double garage with utility sink.